In a few short hours, He was dead, nailed to a Roman cross. 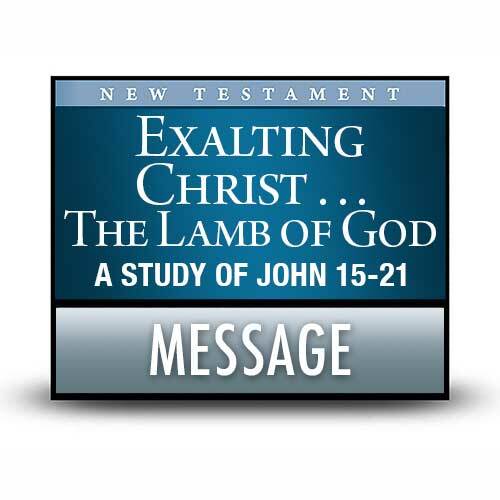 The disciples prepared the Passover lamb, but the Lamb of God prepared the disciples for the ultimate Passover to which the ancient feast had long looked forward to in hope. What was Jesus’ response to all this impending danger? Was it panicking and despair? Self-absorption or a desperate plan of escape? No, His focus was on returning to His Father with redemption in His hand for all who would believe in Him. His attention was on reassuring His 11 remaining disciples who were anxious, fearful, and confused about their future. Join Chuck in listening to Jesus’ tender words to His closest companions as He reminds them of the qualities of true friendship and the love that bridges the distance between heaven and earth.